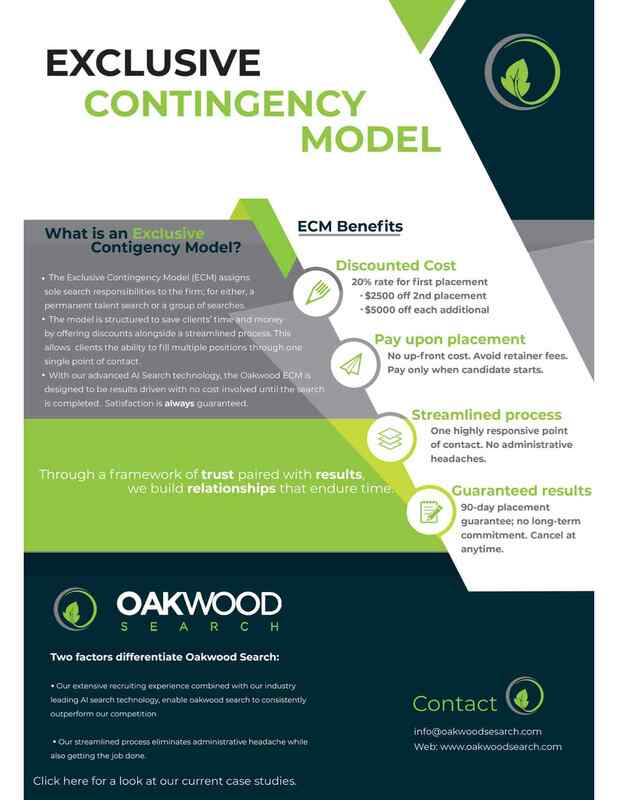 The Oakwood Search Exclusive Contingency Model (ECM) assigns sole search responsibilities to one firm for either a permanent talent search or a group of searches. The model is structured to save a client time and money by offering discounts alongside a streamlined process providing a client the ability to fill multiple positions through one single point of contact. With our advanced AI Search technology, the Oakwood ECM is designed to be results driven with no cost involved until the search is completed. Satisfaction is always guaranteed.